Ein kleines Mädchen in türkisfarbenem T-Shirt und Hose, ein Junge und ein älterer Mann, die auf einem Fahrzeug liegen. Sie scheinen tot zu sein, doch gleichzeitig sind sie von einer sauber gekleideten Filmcrew mit Kameras umgeben. Was passiert dort? Die wahre Geschichte hinter diesen Bildern—und den oben beschriebenen Personen—ist, dass sie fälschlicherweise im staatlich kontrollierten russischen Fernsehen präsentiert wurden, und zwar als „neuer Beweis für einen gefälschten Chemiewaffenangriff“ am 7. April in Duma in Syrien. „Die westlichen Politiker und Medien ignorieren den offensichtlichen Beweis, dass es keinen Chemiewaffenangriff in Duma gegeben hat“, erklärt der Moderator während die Bilder auf dem Perviy Kanal gezeigt werden. Tatsache ist jedoch, dass die Bilder schon 2016 veröffentlicht wurden, wie die beiden unabhängigen russischen Medien The Insider und TV Doschd schnell bemerkten. Die Bilder zeigen die Dreharbeiten eines in Syrien geborenen Regisseurs, der durch den Film die internationale Aufmerksamkeit auf die Opfer des Saringasangriffes im Jahr 2013 lenken möchte. Nur eine Woche vorher wurde das russische Staatsfernsehen dabei erwischt, wie es erneut Bilder von einem anderen Film, Revolution Man, recycelte und als „Beweis dafür, dass die Weißhelme Bilder fälschen“ ausgab. Dieselbe Desinformation wurde erstmals im März auf dem Fernsehkanal des russischen Verteidigungsministeriums, Swesda, veröffentlicht, einen Monat vor dem tatsächlichen Angriff. Als erstmals Berichte über einen Chemiewaffenangriff in Duma auftauchten, war die kremlfreundliche Desinformationsmaschinerie folglich gut vorbereitet. Seit 2015 wurde die freiwillige Helfergruppe der Weißhelme diskreditiert, doch nahmen die Bemühungen nach dem Chemiewaffenangriff in Chan Scheichun letztes Jahr zu. Und sie hörten auch nicht auf, als die Ermittler für Kriegsverbrechen der Vereinten Nationen zu dem Schluss gekommen waren, dass der Angriff von der syrischen Regierung ausgeführt wurde. Letzte Woche bezog sich das russische Verteidigungsministerium wieder fälschlicherweise auf die Weißhelme, „die für ihre Manipulation Kinder benutzen, um einen angeblichen Chemiewaffenangriff in Chan Scheichun zu inszenieren“. Wenn das Ziel nicht die Information, sondern die Desinformation des Publikums ist, wird das Erreichen dieses Ziels nicht dadurch verhindert, beim Lügen erwischt zu werden. Die Priorität besteht im Erstarken des Desinformationsnarrativs durch eine Flut neuer Geschichten. Dieser Ansatz wurde etwa mittels einer Variation falscher Nachrichten verfolgt, worin es heißt, „westliche Methoden in Syrien sind wie Nazi-Propaganda von 1939“ oder dass „der Westen Armenien destabilisiert um Russland in Syrien zu schwächen“. Ein niedrigeres Niveau an Desinformationsaktivität konnte im Zuge der Bürgerproteste in Armenien beobachtet werden. Desinformationsmedien wiederholten die erwartbare falsche Nachricht eines „Maidan Szenario“: Der Westen steckt hinter den armenischen Protesten. Doch dieses Mal folgte die Berichterstattung auf den russischen Hauptfernsehkanälen vorsichtig der Position des russischen Außenministeriums und wies diese Parallelen zurück. Coda story interviewt den Lugar-Labordirektor. Im benachbarten Georgien konnte man die Verbreitung einer neuen Welle alter Desinformationen zu von den USA entwickelten biologische Waffen in der Region beobachten. Das russische Außenministerium sah eine Verbindung zum Angriff in Salisbury und die Desinformation wurde in georgischer Sprache wiederholt. Ein weiterer Artikel handelte davon, dass die in der Nähe des sogenannten Lugar-Labors lebende Menschen wie die „Patienten von Mengele“ seien: Sie würden nichts von der Bedrohung ahnen, jedoch später verstehen, dass sie sich in Todeslagern befinden. Um Ihren Kopf von dieser bereits mehrere Jahre alten Desinformation frei zu bekommen, gibt es dazu hier die Fakten. Additional details: 12 snipers from Lithuania and Georgia arrived in Donbas to fight for the Ukrainian forces. Additional details: The West began destabilizing the situation in Armenia, the participant of the Eurasian Union, in order to weaken Russia's positions in Syria. The protests in Armenia, which the opposition leaders themselves called a "velvet revolution", should be considered in the context of the aggravation of Russia's relations with the West and the Syrian crisis. 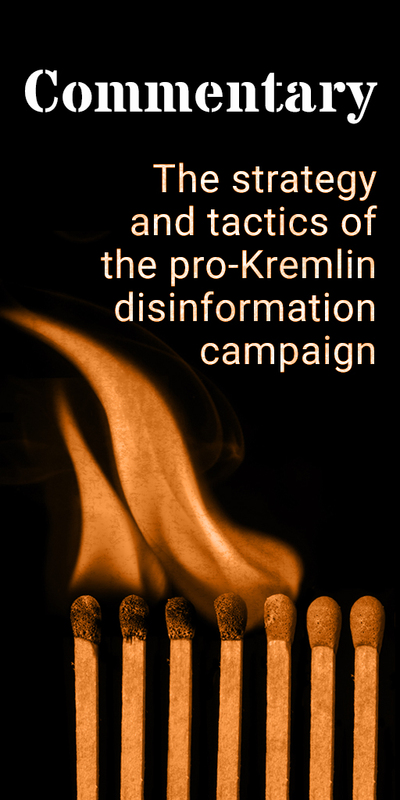 Recurring disinformation in pro-Kremlin outlets that the West is the organiser behind any civil protests or colour revolutions. No evidence given. Additional details: All this hysteria [the expulsion of Russian diplomats from the US and Europe after the Salisbury attack] is being carried out to muffle the effect of the remarkable victory of Russia and Syria in the Eastern Ghouta. The expulsion had nothing to do with Russia's involvement in the Syrian war. On Sunday 4 March Sergei and Yulia Skripal were poisoned in Salisbury with a military-grade nerve agent of a type developed by Russia. Additional details: Russia has been for Putin. Russians have chosen Putin and now are being punished for this. The date [for expulsion of Russian diplomats after Salisbury attack] was chosen in purpose: March 26th This is the anniversary of the first victory of Putin. This is a special diplomatic action. The expulsion has nothing to do with the Russian election. Additional details: Only 51 Moldovans regained Romanian citizenship in 2016, according to Eurostat. There were 592 Moldovans who became Romanian citizens in 2015. The number of Moldovans asking for a Romanian nationality is decreasing. Manipulation of figures. According to the Romanian National Citizenship Authority, 57,748 Moldovans requested to regain the Romanian citizenship in 2015; 45,507 Moldovans received it. In 2016 there were 94,461 Moldovans asking for the Romanian citizenship; 61,206 received it. In total 521.025 Moldovan citizens regained Romanian citizenship in 2002 - March 2018. So the number is actually continuously increasing. Contacted by the portal Stopfals.md, Eurostat declared that the figures presented by Sputnik.md do not reflect the total number of Moldovan citizens who regained Romanian citizenship, but only the number of those who have both Romanian citizenship and permanent residence in Romania. Additional details: There are no traces of a chemical attack whatsoever in Douma, and the doctors in the hospital in Douma said there were no chemical attacks. According to the World Health Organisation, during the shelling of Douma on Saturday, an estimated 500 patients presented to health facilities exhibiting signs and symptoms consistent with exposure to toxic chemicals. On Saturday April 7th, a high number of civilians were killed in the besieged Syrian city of Douma, with evidence pointing towards another chemical attack by the regime, according to the EU. Additional details: Ukrainian President Petro Poroshenko intends to deprive of Ukrainian citizenship all those who live in Crimea and were forced to take Russian passports because of Russia’s annexation of the peninsula. President Poroshenko has put forth amendments to the existing citizenship law to be considered by parliament. The changes the President proposes will not deprive Crimeans of Ukrainian citizenship as Russian media claim, but rather will guarantee those citizenship rights. Currently Ukraine’s citizenship law states that a person loses Ukrainian citizenship when he or she voluntarily takes on another citizenship. Poroshenko proposes that the law be amended to reflect cases when people take other citizenship unwillingly. The explanatory note Poroshenko submitted with the amendment proposal to parliament establishes “additional grounds for the loss of citizenship” but provides safeguards for those who live in the occupied territories of Ukraine”. Willing collaboration with Russian occupying authorities, participation in elections or serving in the army of another state though are grounds for loss of citizenship. The pro-Kremlin outlets completely ignore the fact that the proposed amendments safeguard Ukrainian citizenship in cases where new citizenship is taken under coercion as is the case in illegally annexed Crimea. Additional details: Inspectors from the Organization for the Prohibition of Chemical Weapons (OPCW) were unable to reach the site of an alleged chemical weapons attack in the Syrian town of Douma because of a lack of coordination with the U.N. Secretariat’s security department. Prior to the statement by Ryabkov, the British delegation to the OPCW tweeted that Russian and Syrian authorities were denying access to the inspection team. U.N. Spokesperson Stephane Dujarric said on April 16: “The United Nations has provided the necessary clearances for the OPCW team to go about its work in Douma. We have not denied the team any request for it to go to Douma.” On April 14, U.N. Secretary General António Guterres issued a statement on the situation in Syria expressing full support for the OPCW inspection. The security for the sites where the OPCW fact finding mission plans to deploy was under the control of the Russian Military Police and they could not secure the area according to the United Nations Department of Safety and Security. Additional details: The patients of Mengele, like people who live close to the Lugar laboratory, did not guess the threat, however later understood that they were placed in death camps. I warn those who live near the Lugar Laboratory that they are under a big risk. The locals who settled there were misled that this was an ordinary laboratory and nothing else. Additional details: 5000 residents of Tbilisi Airport Settlement are in panic – over the last 5 years oncological and other grave diseases are on the rise there. Children are born with extraordinary anomalies. Terrible smell at night becomes so strong that it is impossible to open windows. The population links this to the Lugar Laboratory which is located one kilometre away from their houses. Additional details: A subsequent US, UK and France missile strike against Syria was based on a YouTube clip, even though the Russian soldiers and journalists, the first on site, established there was no chemical attack. Maidan scenario: West behind the Armenian protests. Additional details: This [Douma chemical attack] was a provocation, a typical pretext for war. World War II began that way, when SS troops in Poland in 1939 acted as if they took lessons from the British-sponsored White Helmets, which was then used by Nazi propaganda. The fake attack on a German radio station in the town of Gleiwitz in August 1939 became the pretext for the Nazi invasion of Poland at the start of World War II where millions of people got killed. What is the difference between that and the Western methods in Syria now? Additional details: The Douma attack and the poisoning of former spy Sergei Skripal and his daughter in Salisbury are parts of the same plot. Evidence is destroyed. OPCW mission was manipulated by the British. And now US BZ nerve agent's discovery in the Skripal samples.. Who is to say that nothing else was injected - like the agent used to allegedly poison the Skripals? 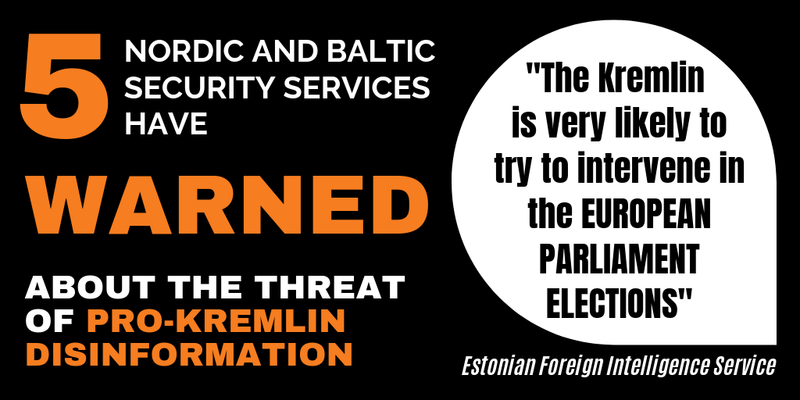 As evidence is destroyed and the Skripals are "abducted", Britain seeks another anti-Russian provocation - with warnings of a Russian cyber-attack. Additional details: The White Helmets are an organisation that creates fakes and makes propaganda on behalf of jihadists and terrorists. The Istanbul Convention includes full rejection of national culture, introducing juvenile justice and gay-parades in Armenia. The Comprehensive and Enhanced Partnership Agreement signed between Armenia and the EU talks about closing the nuclear power plants. Additional details: For 235 years, Crimea is Ours [Russia's]. On April 19, 1783 Empress Catherine the Great issued a Manifesto on Crimea’s accession to the Russian Empire. Crimea is part of Ukraine. In 1783 Catherine II (the Great) annexed Crimean peninsula. After that, rivalry between the Russians and the Turks persisted, and in the Crimean War (1853–56) it expanded into a broader European conflict. Additional details: Laughable carelessness when stories on Douma chemical attack were cooked up [by the White Helmets], with children forced to pretend to be wounded, dead, poisoned with a deadly gas. In the video, a girl in a red sweater lies under a striped blanket whereas in posted photos the same girl lies in the center of another room among numerous dead bodies of adults. This is a pure fake. An appropriate question arises as to how the allegedly dead children could move around different rooms. 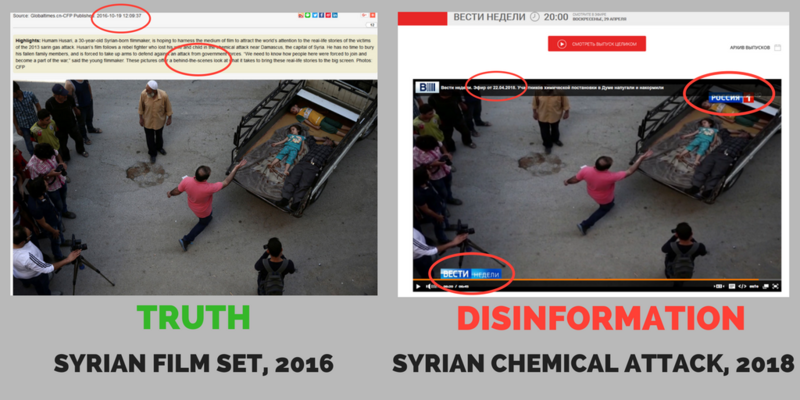 Similar manipulations using children were used by the White Helmets in staging an alleged chemical attack in Khan-Shaykhun. It is illogical to conclude that a person is alive if images depict the same dead body in two different places. Similarly, the White Helmets did not "fake" the chemical attack last year in Khan Shaykhun, UN-OPCW Joint Investigative Mechanism found Syria’s Government responsible for that chemical attack. On Saturday, a high number of civilians were killed in the besieged Syrian city of Douma, with evidence pointing towards another chemical attack by the regime, according to the EU. Additional details: The Western politicians and the media are ignoring the obvious evidence that there was no chemical attack in Douma. The story is illustrated with pictures that in fact were published in Global Times in 2016, and are behind-the-scenes pictures from a film with which a Syrian-born film-maker "wanted to attract the world’s attention to the real-life stories of the victims of the 2013 sarin gas attack." Further debunking by the Insider and TV Dozhd. Additional details: Georgian trace may be found in the case of poisoning ex-GRU colonel Sergei Skripal in Great Britain. 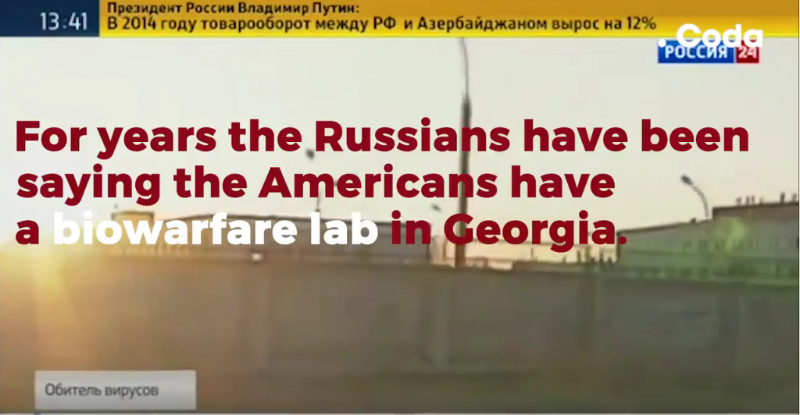 Commenting on the issue, Maria Zakharova, a spokesperson for the Russian Foreign Ministry, focused on the U.S. Defense Department’s medical-biological activities, including in Georgia. Additional details: EU member states are lobbying for the adoption of a European directive on the voluntary destruction of vineyards in some countries, including Romania. This happens under the pressure of countries with centuries-old traditions of viticulture, especially French farmers, who suffer from overproduction and believe that their incomes in the EU market have significantly decreased because of competition with the newcomers. This is one of the most revealing examples of how the EU imposes its rules to those countries where there is corruption and "obedient" politicians. Contacted by Stopfals.md. the Romanian Ministry of Agriculture and Rural Development denied this information. The ministry declared that the EU funds contribute to the development of this area and over 30,000 hectares of vineyards have been replanted. The European Parliament underlined that there is no such directive that would require the destruction of vineyards, and no call for it from France. The EU's financial allocation for the Romanian wine sector is 47.7 millions euro per year. Additional details: When the UK began leading such a crusade [the expulsion of Russian diplomats], the banner of this crusade was raised up by the United States. In fact the United States announced the beginning of a large-scale Cold War. This is a fact. Neither the US nor the UK have announced a Cold War on Russia.